IAEA Programs supports the US Department of State regarding peacetime International Atomic Energy Agency (IAEA) matters. It serves as an interface and plays a lead role in the many daily programmatic activities of the US–IAEA relationship. Each provides unique opportunities for US and global citizens interested in contributing to international peace and development. To accomplish our work, we collaborate with government agencies and numerous organizations across the United States, as well as the US Mission in Vienna. IAEA Programs is located at Argonne National Laboratory in Illinois. 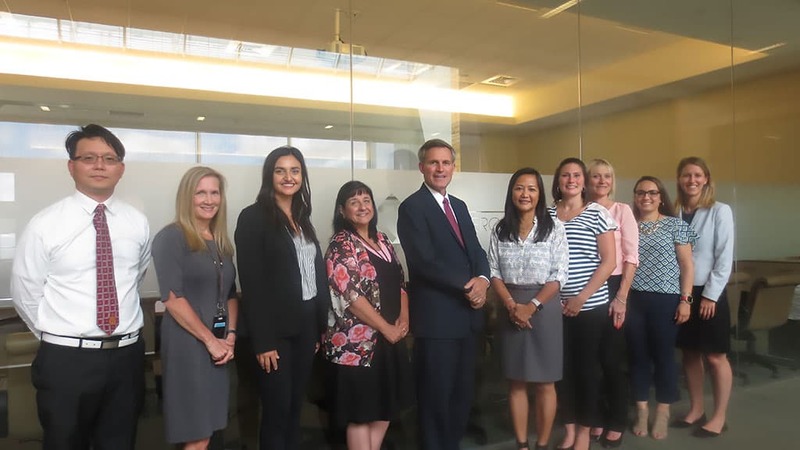 US Department of State sponsor Tim MacGregor visits the lab on July 26th for the 2018 Annual Program Review. International Atomic Energy Agency Ministerial Conference on Nuclear Science and Technology: “Addressing Current and Emerging Development challenges,” in Vienna, Austria from 28 to 30 November 2018. The United States delegation, led by ISN Assistant Secretary of State Dr. Christopher Ford (center) and Ambassador Jackie Wolcott (right of Dr. Ford) visited the U.S. booth. This is the 2nd ministerial conference for the past 2 years that the IAEA Programs was designated as the lead for the US exhibition. 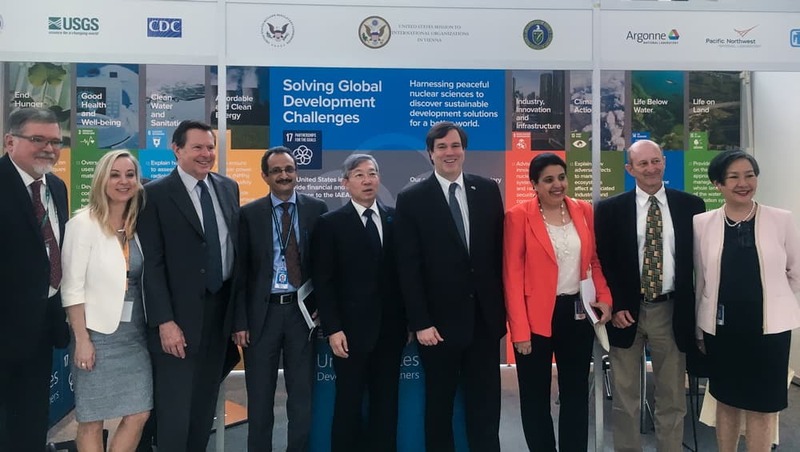 The US Support Program to the IAEA – Non-Safeguards sponsored and coordinated the US exhibit at the International Conference on the IAEA Technical Cooperation (TC) Programme from May 30th to June 1st, 2017. United States Development Partners include the National Oceanic and Atmospheric Administration (NOAA), the US Geological Survey (USGS), the Centers for Disease Control and Prevention (CDC), the US Nuclear Regulatory Commission (NRC), the United States Mission to International Organizations in Vienna (UNVIE), the US Department of State (DOS), the US Department of Energy (DOE), Argonne National Laboratory, Pacific Northwest National Laboratory (PNNL), Sandia National Laboratories, and the National Nuclear Security Administration (NNSA). The International Atomic Energy Agency (IAEA) is an international organization committed to promoting safe, secure and peaceful uses of nuclear technology that contribute to international peace and promote sustainable development. The IAEA's programs have enabled over 100 developing Member States to utilize nuclear technology to overcome challenges such as water scarcity, food insecurity, malnutrition, malaria, and environmental degradation. The United States is the largest financial and in-kind supporter of the IAEA's programs.